It used to be that if you wanted your teeth whitened, your only option was to visit your dentist. 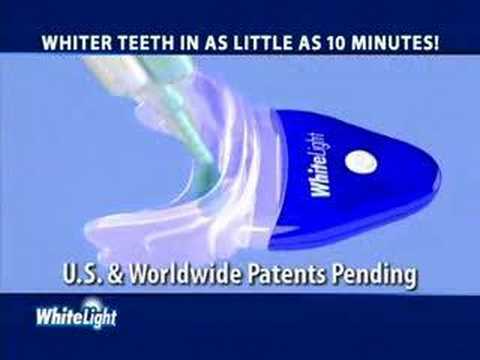 However, a combination of high dental treatment costs coupled with limited time, and for some folks, a fear of dentists, a new solution is now available in the form of an at home teeth whitening system. For many folks, the mere mention of at home teeth whitening will conjure up images of homemade techniques using the likes of baking soda, salt, orange peel, walnut bark and even strawberries. All of these have been reported as tried and tested whitening agents that can be used at home. Whether they actually work in practise is anybodies guess. Increasingly, folks who want whiter teeth are turning to the ever-growing range of whitening toothpastes that have come on to the market in recent years. However, the majority of these so called whitening toothpastes do nothing more than remove surface stains giving the impression of brighter whiter teeth. Such pastes usually make use of abrasives to polish the enamel, or use silica and chalk (calcium carbonate) to polish off surface stains. For those people who are looking for something with a more professional result, at home teeth whitening kits are the ideal solution. These kits contain a caustic bleaching agent called carbamide peroxide which is the same product used by dental practices, albeit in lower concentration. The strength of home kit gels varies between sixteen and thirty-three percent, which is the same concentration used by professional dentists. The basis of these home teeth whitening kits is a whitening gel and a small tray. The gel is put in the tray and the whole thing placed onto the teeth for around thirty minutes. Some kits also make use of a light activator. It is also possible to have custom trays made in a dental lab but these tend to be on the costly side. An alternative to having one made to fit is to purchase a kit that comes with a thermo foam moldable tray. The idea behind these kits is to soak the tray in hot water in order to soften it and then make a bite impression of the teeth. Once the tray has hardened again, the gel is put in and the completely customised mold is put over the teeth for the specified time.